Population studies have shown that 20-65% of women and 15-40% of men have experienced neck and shoulder pain at some point in their lives. Headache is also a common ailment affecting humans with a point prevalence of 16% in the general population. So, you have this raging pain in the neck. You can’t sleep, can’t eat, you can’t even talk. Your boss at work is stark mad as it’s been months since you last delivered satisfactory work plus your friends are also thinning out because you aren’t any fun anymore. It seems like it’s the end of the world, right? Wrong. As irritatingly disturbing it can be, the medical field has devised various ways to cure neck pain. Most times neck pain is caused by an individual’s lifestyle and daily activities. In that respect, most cases of neck pain arise as a result of muscle strain along the neck. Nonsurgical treatment in such cases works just well. Such pain is also resolved in a matter of weeks. You can opt for physical therapy. One has the option of using heat or going for massage. If one decides on the heat option, an ice pack will do just fine. One simply places the pack on the painful region for a good number of hours. 48 hours should do, but one can go for more too. However, heat in itself is also very valuable in any quest to cure neck pain. After the 48 or so hours, one is relatively safe from the side effects of heat if the any present swelling has gone down. Coming into contact with hot materials like hot water may cause more swelling but when used after the swelling has gone; the heat has a relieving effect. Massage also works well in most cases, and one can ring up a professional massager for a few minutes. While they may not be the cheapest services in town, a vigorous massage will be worth the cost. A person may also go for the option of acupuncture from an experienced acupuncturist. Cervical collars help to ease the pain temporarily by reducing the scope of neck movement. A good stretch exercise from a trained instructor can also be sought out to cure neck pain, but only with a doctor’s consent. What Does It Feel Like To Have Neck Pain? Neck pain is, of course, a painful experience. Given a choice, one would rather not know how it feels. At least not through experience. It tends to give someone such a hard time that one is quite unable to channel their thoughts into anything else and such an individual may also prove to be unproductive in the work place. Sadly, neck pain is here to stay. We, as humans, may have learnt how to cure neck pain while also getting considerably better at it with each passing decade; but kicking it out of society will not be happening any time soon. Neck pain need not be a giant monstrous pain. At times, it presents itself as a mild discomfort around one’s neck. The pain may also be inclusive of shoulders and arms. This shoulder pain, however, needs to be differentiated from true shoulder pain as it is not the same thing. The pain can also be in the form of a sharp pain. There may be stiffness in the general neck area and around the shoulders. Neck pain may also radiate upwards into the head causing a head ache. An individual suffering from neck pain may experience weakness around the shoulder and arms, right beneath the head. In addition, and individual with neck pain may experience dizziness. The basic process of swallowing may become an immense task, and a painful one at that. An individual’s neck and arms may also become numb and at times experience a tingling sensation. With this variety of painful experiences, to cure neck pain would come as a relief to affected people. 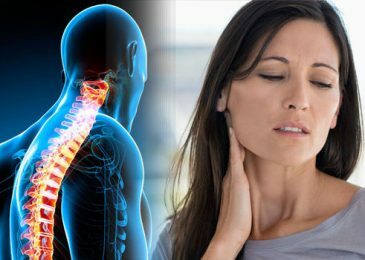 One may get depression in case of chronic neck pain since it could become a daily routine that would undermine their productivity in the work place, their personal relationships and daily activities in general. Ways need to be developed to cure neck pain in such individuals so as to kill their distress. What Sort of Exercises Can Help Cure Neck Pain? Exercises are no doubt necessary when one tries to cure neck pain. The first step, however, to delving into exercise for this purpose is to consult with a doctor. In some cases, physical stress arising from exercise can actually make the pain much worse. Therefore, it is of supreme importance to check with a doctor first before trying any exercise routine. Stretches are a convenient place to start. The neck has a wide range of motion. When neck pain gets into the picture, however, things change. Neck pain, in some cases, brings stiffness of the neck along with it, and it reduces the scope of the motion. Stretches come in handy in restoring that scope and easing neck stiffness. However, one key rule to follow when doing a stretch is never to stretch to the extent of pain as this will be counterproductive and the pain will actually hit the roof. 3 important types of stretches are: flexion in which case the neck and head are moved forward, extension which involves bringing the neck and head backward and looking up and finally rotation where the head is turned in both sides. Stretches, when done precisely as they should be, go a long way in helping to cure neck pain. They, however, need to work alongside exercises that will strengthen the back and the neck. The muscles in the upper part of the back support neck movement and thus ignoring this form of exercise won’t do anyone any good. Exercises for upper back pain are thus necessary. The lower back exercises should not be left out either as the lower back too plays a role in neck support and movement. When carrying out neck exercises, it is beneficial to get hold of some of the neck exercise tools that have been made available by today’s technology. A few examples are the inflatable neck exerciser and the posture cap. If anything, these too will be a stepping stone to the journey one undertakes to cure neck pain. Niemi S, Levoska S, Kemila J, Rekola K and Keinanen-Kiukaanniemi S (1996) Neck and shoulder symptoms and leisure time activities in high school students. JOSPT 24(1): 25-29. Nilsson N (1995) the prevalence of cervicogenic headache in a random population sample of 20-59 year olds. Spine 20(17): 1884-1888.